Royal Enfield, known for its iconic 350 cc Bullet, is now all set to upgrade to the next level of performance bikes -- Interceptor and Continental GT -- both powered by 650 cc twin engines. And the company wants country's market for high-power motor cycles to grow. 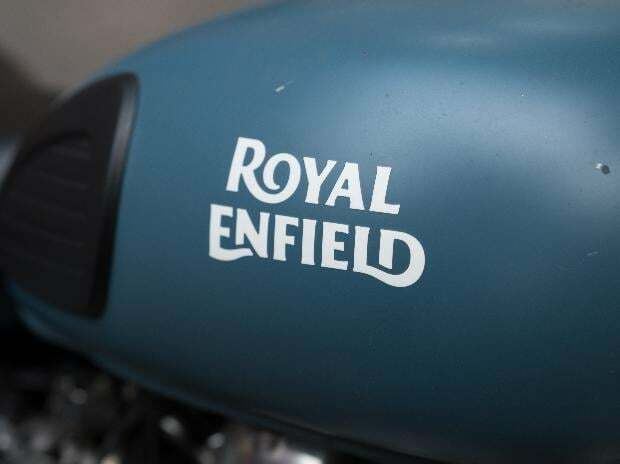 In a candid interview with IANS here, Siddhartha Lal, the CEO and Managing Director of Eicher Motors, the mother company of Royal Enfield, said the two new motorcycles will "upgrade" the Royal Enfield community with performance-oriented features. "Our team here... most of them are riders and we try to talk to our customers, dealers most of the time, and what we understood was that a lot of our customers were delighted with what they currently have and it's absolutely perfect for them," Lal said. "But certainly there is a set of customers who now have been riding bikes for five-ten years and are now looking at the next level of performance... they like Royal Enfield, they like what we stand for, they like our style, but they want a bit more performance," he said. The Interceptor and Continental GT 650 cc twins were unveiled in Goa last month during the Royal Enfield's ninth annual Ridermania. Both motorcycles are powered by the all-new 650 cc, air-cooled parallel twin engines with oil cooler for enhanced performance. The fuel injected motor claims to deliver 47 PS of power at 7,100 rpm and a peak torque of 52 Nm at 4,000 rpm. "It is really to start up with a motorcycle that, we believe, our community is interested in. We have 2.5 million customers since we started this new generation of motorcycles in 2009-2010," he said. He pointed out that "there is a good number here (in India), who are interested in getting to the next level of performance and that is what it is about". Elaborating on the need to bring 650 cc motorcycles, Lal said: "That's obvious... company has to progress and for us the decision was (if you are making a new motorcycle) to go down or go up. Currently we have our products between 350 cc and 500 cc. We could have gone down to 250 cc or gone up above 500 cc. Or we could have gone parallel in the way we went with Himalayan (with 411 cc)." "But we decided that we don't want to go down where there are a lot of other players," he said, adding: "We want to grow the market in the same way we grew the market of 350 cc, which didn't exist before Royal Enfield." Lal, optimistic of growing the market for 650 cc motorcycles in India, said that in the old days it was a very small market and in the last one decade "we have grown the market". "We grew the market with 350 cc and 500 cc; we will do the same with the 650 cc. It doesn't exist in India; the 650 cc market is very tiny in India, as very few motorcycles sell here and we think with the 650 cc we can grow that market," he said. Commenting on the export plans of the new offerings, Lal said: "Very importantly we think that this motor cycle will be absolutely spot on for markets outside of India, because the average speed, highway speed and riding speeds in markets outside of India are normally higher." "So we are looking for slightly higher level of performance than today. And these motorcycles will certainly help us get into the mainstream in the export market," he said. "In the international market we have an open field; we have people coming down from other emerging markets like Latin America and Southeast Asia," he said. Both new motorcycles have been engineered and fine-tuned for enhanced agility that can handle different terrain and speeds with ease while retaining the classic style. They are equipped with front and rear disc brakes with ABS, 18-inch front and rear Pirelli tyres and twin shock absorbers. The gearbox is augmented by its "slip/assist" clutch that facilitates easy riding in traffic with a light feel and prevents wheel-hop when downshifting gears -- also a first for Royal Enfield.